Loki doesn't mind boops! He doesn't like the top of his head or the head lumps touched, but boops are okay. Unless he's about to shed or in shed, then he hides his face and hisses. I hate boops.....who that heck even made that up?!?!? He seems to like my dressing gown as he will lay on and chill if I’m wearing anything else he tries to explore. 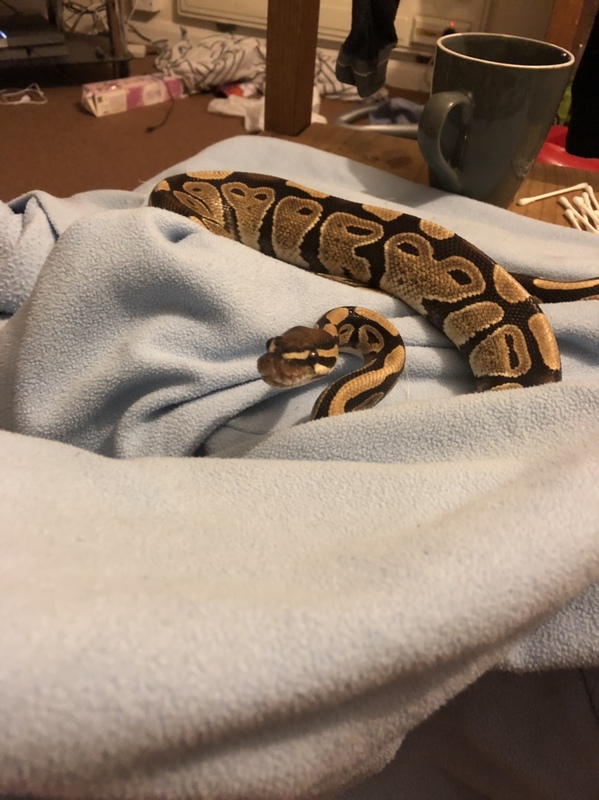 If he gets a bit of stuck shed I put him on the dressing gown and he lets me pretty much do what I want. Don’t know why but he becomes very docile if he is on it. My female vanilla will (and I’ve seen it on several occasions) lay stretched out clear across the tank with her head in the warm hide and her tail in the cool hide! Actually it could be the other way around hard to tell which end is which! I’ve got a coral glow pastave male that loved small hides. He looked like a turtle because the hide was no where near big enough. But if I took it out and put the bigger one in he would sit in middle of tank and just stare at me. He is a tank re-arranger too. Everything gets moved every night.